Thank you is all we can say." "We thought your service was great. The extras really made us feel important. It was a wonderful experience working with you and now we feel as though we have a made a new friend, too!" "You were a wonderful realtor." "We thought you to be a person of integrity and character. Your continued patience and diligence in showing us so many properties was deeply appreciated." "I was very pleased with your team and efforts." "You went beyond what was expected... we really appreciated all that you did and being patient with our queries." "We are very impressed with the way you do business, your professionalism, and demeanor, that is why we have come back to you after 5 years." "Dave, your knowledge of the Abbotsford area and willingness to assist us in looking for a home in surrounding areas like Mission, Chilliwack and Yarrow is greatly appreciated. Your patience, understanding of the buying and selling process helped us immensely. Thank you for helping us buy our first home!" "Right from the very beginning you have been more than helpful and willing to walk us through everything. Through this whole process I have really sensed your honesty and sincerity. Thank you again for all of the extra little things (and big things) that you have gone out of your way to do for us." 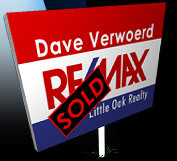 "We were impressed at how Dave Verwoerd represented our interests when we recently purchased our first home. He answered the many questions we had and managed our purchase with both professionalism and integrity. You have a full fan club here in the Marshall family and we have no reservations recommending Dave as an excellent realtor." "Trying to sell the condo ourselves was a huge headache. You were so easy to deal with and got it done so quickly it sold in 2 days. You looked after us in a very timely manner, and were polite and professional. We will definitely recommend you to others and will use your services in the future." "You were a delight to work with Dave - highly professional and fun to be with. You provided superior service and we would absolutely recommend you to others." "You have helped us in our past real estate endeavors and so we chose you again. 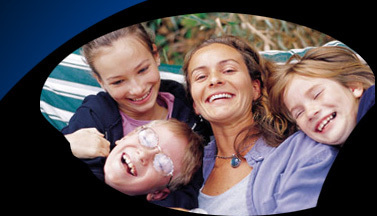 We were satisfied with everything that you provided for us and would recommend you to others." "You went out of your way and provided excellent service for us." "You were prompt, very straight forward and professional." "We never even considered anyone else because we value your honesty and know you are trustworthy."